BlackHawk Townhomes are high-end townhomes located in St George , in the Tonaquint area. NO SOIL ISSUES. The entire property has been over x'ed and is blue clay free. AGEC has all soil inspection reports. Blackhawk Townhomes offer quality construction, an unbeatable location and its own private amenity package including: swimming pool with restrooms, children playground and shaded pavilion.BlackHawk Townhomes sit alongside a future city park, and have incredible views of Pine Valley Mountain. With- in minutes of 3 golf courses and the center of town. We offer 2 color options, We include a side by side fridge, all window coverings, central vac system with the hoses and attachments, granite countertops throughout, soft close cabinet doors and drawers, and much more. 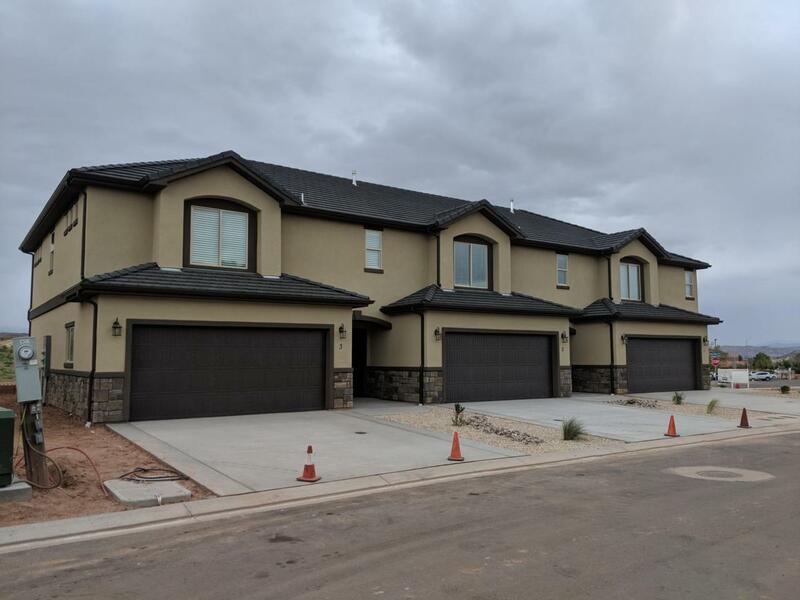 *Photos are of the Blackhawk St. George townhomes project but may not be of the exact unit.